Kyle Coetzer, the Scotland captain, will not take part in the only ODI against Australia on Tuesday due to a wrist injury. Cricket Scotland are yet to name his replacement but vice-captain Preston Mommsen, who led Scotland against Australia A in June, will take over at Grange Cricket Club in Edinburgh. 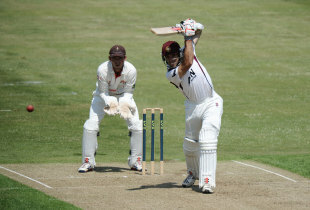 Coetzer, who was appointed Scotland captain in March, picked up the injury while playing for Northamptonshire in the first Friends Life t20 semi-final on August 17 and has not taken the field since. Cricket Scotland added his participation in the World Cricket League matches against Ireland on September 6th and 8th will be assessed in due course.